Less Murray An absolutely ordinary rainbow. 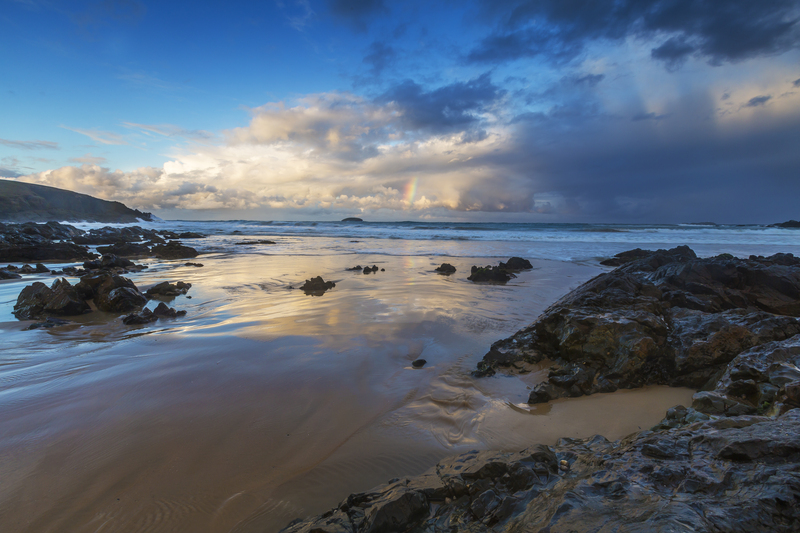 A very cold afternoon at Serenities Beach in Moonee Beach National Park. 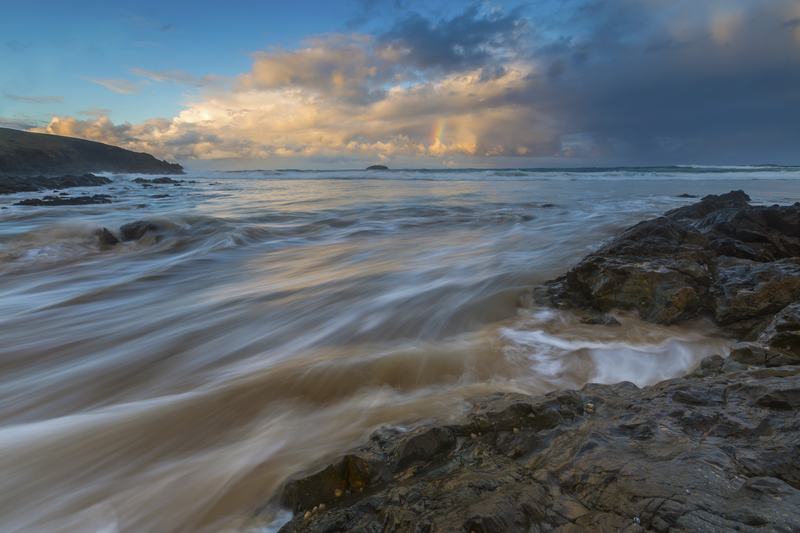 A long wait for sunset, but it was worth it when a rainbow appeared on the horizon, right next to Split Solitary Island. Very dramatic light with the cloud that had been hugging the horizon came onshore, and it started to rain on me and my camera. While I waited I collected some sea shells. I watched gannets white on the grey clouds, hover then dive into the ocean. People came and went on the Look-at-me-now headland loop. Split Solitary and South Solitary were occasionally bathed in golden light. At dusk four of the Moonee Beach Kangaroo mob hopped onto the beach and took a quick dip in the ocean. The clouds fired gold and orange to the north, followed by dramatic rain clouds to the south. I hope the rainbow is a sign of good things to come this week. so moody. the water looks silky smooth and soft. Love those clouds reflecting into the water coming in…Beautiful.